Welcome to August 23 MLB DFS action. You’ll find Daily Fantasy Baseball Premium Cliff Notes for August 23 MLB DFS along with LIVE Premium Chat. Make sure you’re using the customizable projections tool, you’re actively participating in the live chat, and you’re reviewing the cliff notes to supplement your research and roster construction process. Very best of luck in tonight’s action! Cole Hamels (CHC) represents the top projected scorer at the starting pitcher position in this condensed slate. For starters, Hamels is a -225 favorite and we believe he’ll have an IRTA in the mid 3s. He’s also tied for the lead in projected Ks (6). Hamels is probably no more than a slightly above league average pitcher now (23% K rate, 4.00 ERA/4.00 xFIP this season), but he’s viable across all formats tonight. As far as the matchup is concerned, we view the Reds as a better matchup for LHP than they’ve been for the season (top four in wRC+). Tyler Glasnow (TB) is the second highest projected scorer at the position but the gap in raw projection between him and Hamels is less than one Fantasy Point. Glasnow is now priced up on DK ($8,400) but he remains really cheap on FD ($6,300). He has the lowest IRTA (3) in this slate as he takes on the hapless Royals (ranked 26th in wRC+ vs. RHP) in a dome. Glasnow’s toughest spot was against Boston his last time out, and he wasn’t very good in that start. In his previous three starts with the Rays, he generated xFIPs of 3.94, -0.93 (yes, you read that correctly) and 1.37. He’s also posted K rates of 16% (against Boston), 33%, 64.3% and 45.5% in those starts. We view Glasnow as a very strong play across all formats tonight, particularly now that he’s stretched out (threw 94 pitches and went nearly 7 IP in his last start). The next in line options at the position are Danny Duffy (KC) and Sean Newcomb (ATL). Duffy is pitching in controlled conditions (Tropicana Field) and he’s just $6,400 on DK. We’ve docked his BF/Outs baselines as he’s making his first start since August 11th, and he still rates as the best per dollar option on DK. You could make the argument to fade him in tournaments in such a short slate, but in cash games he’s the most logical pairing alongside one of Hamels or Glasnow. Newcomb is also pitching in a domed environment (Marlins Park) and he’s facing a Marlins’ team that’s ranked 27th in wRC+ vs. LHP. It’s a strong spot for run prevention but the pesky Marlins don’t strike out much (21.3% K rate vs. LHP). Newcomb is the last option we’d consider in cash games and while the matchup doesn’t scream upside, his individual talent alone puts him in the GPP discussion on both sites. There’s not much to consider after the pitchers above. Trevor Cahill (OAK) is simply overpriced on both sites, but he’s the last pitcher in this slate with at least some talent in the K department. He’s viable in MME. If you want to be very contrarian, Anthony DeSclafani (CIN) makes some sense in top heavy GPPs. Jonathan Lucroy (OAK) is the catcher in our DK optimal on Thursday because the position is a wasteland. Not a single player is listed as a positive value because the catchers are overpriced in Coors Field and do not fit the slate particularly well. Through two starts, Kohl Stewart has yielded a .479 wOBA to right-handed hitters (RHHs) and he has only struck them out at a 21.4-percent rate. FanGraphs’ projection systems all agree Stewart projects as a subpar strikeout pitcher for the long run and they also agree he is not a particularly good pitcher (around a 5.20 average FIP). For those reasons, an underpriced Lucroy is worth a shot to fill the catcher spot for just $2,700. If the funds are available, Willson Contreras (CHC) is on the wrong side of Anthony DeSclafani‘s platoon splits but he is the next best value. DeSclafani, who has been roughed up by left-handers, has still allowed a 44.3-percent hard hit rate to RHHs. Tucker Barnhart (CIN) is the only other catcher in this tier against Cole Hamels (CHC) who has allowed 22 bombs to righties (compared to just one to lefties) in 2018. The tournament tier at the position consists of Mitch Garver (MIN), Salvador Perez (TB) and Kurt Suzuki (ATL). Garver draws a poor matchup against a ground-baller (Trevor Cahill) and he is a bit overpriced so he is the least enticing of this group. Perez is a tough man to strike out (20.0-percent K rate versus RHP) and Glasnow has been lights out since joining the Rays. Since Perez is not an easy man to strike out, our model believes he has at least a bit of potential. Lastly, Suzuki is playable because Elieser Hernandez is heavily reliant on fly balls (53.0-percent) and inherently should be home run prone. Anthony Rizzo (CHC) is our highest projected first baseman on this slate and why not in a matchup against DeSclafani? All lefties have done against DeSclafani this year is roast him to the tune of a .361 wOBA, 2.70 HR/9 rate, 24.1-percent line drive rate, 40.4-percent hard hit rate and 42.9-percent fly ball rate. In fact, DeSclafani owns a 6.32 FIP in the split, which is by far the worst of any pitcher on the main slate. He is not in the FD optimal but he is the preferred play across the industry in cash games. The reason Rizzo is not featured in the FD optimal is because Matt Olson (OAK) is $400 cheaper against a pitcher that has not struck out a left-handed hitter (LHH) this year. Olson is an all-or-nothing type power bat who has struck out over 25-percent of the time against RHP. He also ranks third on the team with a .242 ISO and fifth in wOBA. This undoubtedly is a spot where he possesses the potential to hit the ball out but he is a better fit for tournaments. Otherwise, Freddie Freeman (ATL), Lucas Duda (KC) and C.J. Cron (TB) are the ways to pivot off the ownership. Freeman’s .421 xwOBA leads the Braves this year and that is even on a team with a red-hot Ronald Acuna. He also ranks second amongst active hitters in career wOBA against RHP behind only Bryce Harper (min. 500 ABs in the split). Duda is in play because Glasnow is susceptible versus LHHs but he has also struck them out at a 25.5-percent rate. There is no doubt his floor is zero but he only rates as a slight negative value on FD. Cron’s opposing pitcher, Danny Duffy, ranks ninth worst in SIERA amongst qualified pitchers and he owns a .195 ISO in the split versus LHP in our model. Like Rizzo at first, Cubs teammate Daniel Murphy (CHC) is easily the top value at his respective position because DeSclafani is so susceptible to lefty power bats. The weather in Wrigley Field is supposed to be sunny with temperatures in the upper-70s and the wind blowing out to center. In other words, this should be one of the days where it plays extremely favorable for hitters. Murphy drew the start in the leadoff spot in his Cubs debut and he would be one of the top plays on the slate again if he were to remain there. Ozzie Albies (ATL) and Jed Lowrie (OAK) are the only other positive values on FD and Albies has posted a disappointing 13.5-percent hard hit rate over the course of the past few weeks. The reason to like Albies is because Hernandez owns a 6.16 FIP against lefties and has almost walked them at as high of a rate (11.9-percent) as he has struck them out (12.7-percent). Lowrie hits in the middle of an Athletics lineup being implied to score 5.2 runs. Of the two, he is the preferred option in tournaments. Whit Merrifield (KC) is worth noting in tournaments because Glasnow is one of the worst pitchers in the league at holding runners. If Merrifield is able to reach base, it should be off to the races. Matt Chapman (OAK) is one of four Athletics sporting a wRC+ of 148 or greater over the course of the past few weeks and he is our optimal third baseman on both DK and FD. During that same span, Chapman has slashed .300/.345/.580 with a .386 wOBA and 52.4-percent hard hit rate. Again, Stewart has looked terrible in his short MLB stint (5.87 SIERA) and Chapman ranks second on the Athletics in terms of both wOBA and ISO against RHP (behind Khris Davis in both categories). Eugenio Suarez (CIN) is the logical alternative at the position in a superb power matchup versus Hamels. While Hamels’ velocity has been up since he joined the Cubs, the weather will be working against him, and Suarez is an elite hitter versus LHP. To this point, Suarez has produced a .485 wOBA, .337 ISO and a ridiculous 59.0-percent hard hit rate in the split. He is the one player with a comparable ceiling to Chapman. Matt Duffy (TB) is the only other player who rates as a near neutral value but he is only a punt option against the Royals’ Duffy. He has been brutal lately but only costs $2,400 on FD. Miguel Sano (MIN) faces a ground-baller and a player who has dominated righties but every once in a while he barrels one up. The top two at this position are by far the safest bets. All of a sudden Javier Baez (CHC) qualifies at shortstop on FD after Addison Russell was placed on the disabled list and that makes this position a whole lot easier to fill. With only four games to choose from, this position was going to be inherently difficult to fill, as not a single player rates as a positive value. Since there are no true aces to spend up for, Baez is easy to fit in all formats. Jose Peraza (CIN) is the logical alternative as he quietly is amidst a productive season versus LHP. Thus far, Peraza has slashed .321/.345/.460 against southpaws with a .344 wOBA, .139 ISO and minuscule 5.6-percent K rate. He is nearly impossible to strike out and Hamels has allowed opposing base stealers to swipe 89 bags successfully against him since the start of 2014. If Peraza gets on, he should be running, and base stealers have a 75-percent success rate against Hamels for his career. Jorge Polanco (MIN), Adalberto Mondesi (KC), Marcus Semien (OAK), Johan Camargo (ATL) and Willy Adames (TB) are the next highest rated players on our model and the players further down the list are the most intriguing GPP investments. Not only will they be the lowest owned but Semien will hit down the lineup against a gas can, Carmargo is on the correct side of the platoon split against Hernandez and Adames is red-hot over the last two weeks. Adames’ power upside is intriguing versus Duffy and his 1.54 HR/9 rate allowed to RHHs this year. Khris Davis (OAK) is our highest projected player in the outfield but the Cubs rate as superior values at the position. If it were not for Davis’ $5,700 price point on DK, he would probably be our top value on that site too. Since the All-Star Break, Davis has produced a .487 ISO, .467 wOBA and 204 wRC+. Kyle Schwarber (CHC), Jason Heyward (CHC) and Carlos Gomez (TB) are the top values on DK and Schwarber’s ceiling is comparable to any other member of the Cubs. This season, Schwarber leads all Cubs lefties (not named Zobrist) in xwOBA (.401) against the combination of right-handed fastballs and sinkers (which DeSclafani throws a combined 60-percent of the time to lefties). With the wind blowing out, and facing a power-prone pitcher, Schwarber is on red-alert to go deep. Gomez is the interesting one in this tier because his career numbers suggest he is reverse-splits hitter. Phillip Ervin (CIN) quietly has posted a .436 wOBA against LHP this season and Hamels has yielded a .330 wOBA to the right side of the plate. 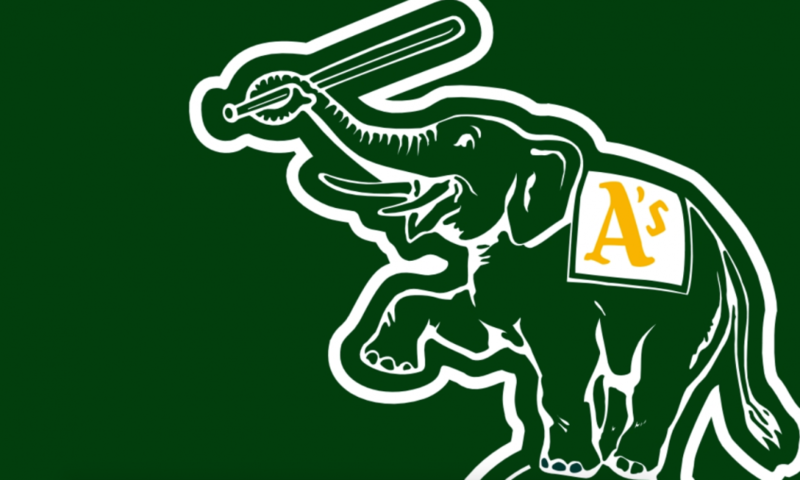 Nick Martini (OAK) will likely lead off for the Athletics but is often pinch hit for. Otherwise, there is an unusually unexciting collection of outfielders beyond the top tier. If Cahill is off, the Twins lefties are all fine, but he has held lefties to a 24.2-percent fly ball rate and has the best FIP in the split of any pitcher on the slate. Nick Markakis (ATL) and Ronald Acuna (ATL) are the only other names worth noting. The Braves stack may go overlooked even though they are at home against a bad pitcher. Their 4.5 implied run total is behind the Cubs and Athletics but Hernandez relies heavily on fly balls against a powerful offense. He has been worse against righties but you simply cannot stack the Braves without Acuna. The Cubs’ offense has been in a funk of late, but they’re once again in a spot where they should dominate ownership. They’re throwing a bunch of LHBs against Anthony DeSclafani, who’s been terrible against them. DeSclafani has allowed a .367 wOBA and .301 ISO to LHBs since the start of last season. We have 5-10 MPH winds blowing out to straight CF at Wrigley tonight. It’s tough to ignore the Cubs altogether but in a short slate you might want to think about fading in some GPP lineups. The Athletics should carry lower ownership than the Cubs and represent the best pivots in GPPs. They’re getting guaranteed nine innings on the road and a better park for pull power. Also, the matchup against Kohl Stewart is phenomenal as Stewart doesn’t miss any bats (8% K rate through two starts; well below average K rate at AAA this season). The Braves are also getting guaranteed nine innings as a road team, but it’s in a bad hitting environment. They’re facing Elieser Hernandez, who’s struggling to miss bats (16% K rate) and has wretched run prevention (ERA/xFIP above 5). If you’re worried about Cubs chalk in tournaments, the A’s and Braves are clear alternatives with upside. We’re less thrilled about this tier as the Twins will have to deal with a pitcher than keeps the ball in the ground (Trevor Cahill) and the Rays are playing in a dome and are fielding an ugly offense nowadays. We’d only take bits and pieces of these offenses in MME. Cincinnati Reds: Low owned offense in a strong hitting environment. Hamels has generated good results lately, but they’re not backed up by tidy underlying metrics.